Eight million school-aged Hispanic Catholic children live in the United States. Most of them do not attend Catholic school. A report from a 2016 national survey of Catholic schools serving Hispanic families addresses the overarching question: Why not? In many cases the answer is simple: No one has extended an invitation. Survey report co-authors Hosffman Ospino, Ph.D, and Patricia Weitzel-O’Neil, Ph.D. recently hosted a summit at Boston College to explore research-driven ideas that support Hispanic families and Catholic schools. I was honored and thrilled when Dr. Ospino asked me to attend the “by invitation only” gathering of thought leaders in Catholic education. 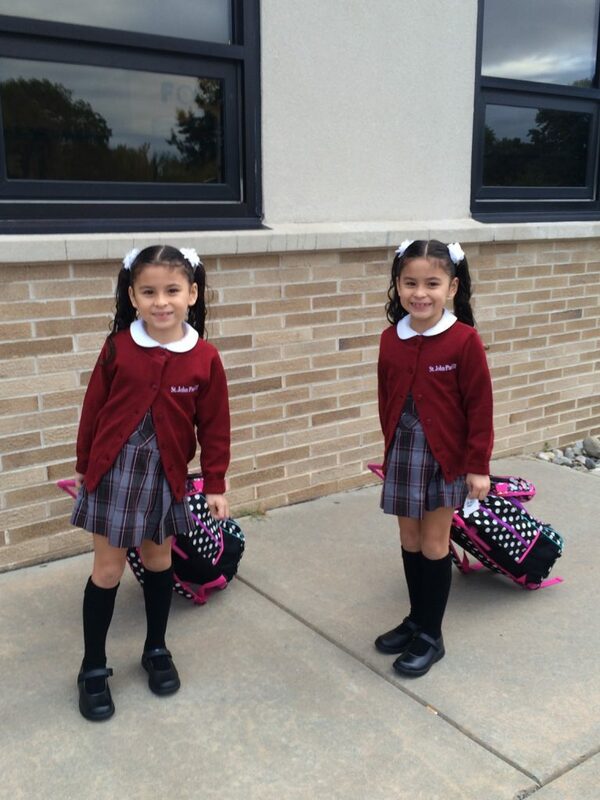 Twins Dianna and Jailyn Perez are enrolled in first grade at Saint John Paul II School in Stratford. Church officials are working to increase Hispanic enrollment in Catholic schools. Participants included superintendents, school principals, college professors, publishers, Latino enrollment specialists (like me), education consultants, researchers, bishops and pastors. For three days, in large groups and small break-out sessions, we explored the role Catholic schools can and should play in educating the fastest growing Catholic population in the United States. Topics included the relationships among Catholic schools, parishes, and dioceses; conditions and possibilities of systemic change; sustainability; immigration and schools; Catholic environment and culture in a diverse church; and leadership for Catholic schools serving Hispanic families. Each participant brought different perspectives, helping to create a better picture of our current reality and ways we can engage and welcome Catholic Hispanic families. The Summit reinforced my work in the Diocese of Camden over the last two years, helping many families enroll in Catholic schools throughout South Jersey. As we discussed ways to welcome new Latino families, I thought about the Sánchez family, who considered Catholic school more than six years ago for their oldest children but felt overwhelmed and lost in the enrollment process. In 2016, I met the family after speaking about Catholic schools at Saint Jude Church in Blackwood. Mrs. Sánchez was happy to find somebody who could speak her language and guide her through the process. 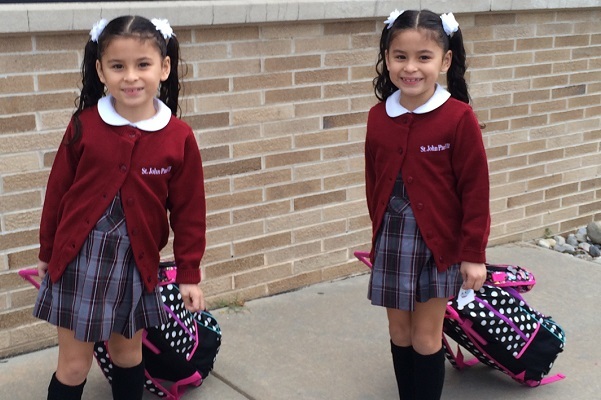 With support systems in place, the family is now happily enrolled at Saint Mary Regional School, Williamstown. Like many of our schools, Saint Mary’s is meeting the needs of a growing Latino population, while enriching its own community with a diverse student body. I was proud to find the work we are doing in the Diocese of Camden is considered among best practices for outreach and enrollment. At the same time, I was inspired by continually evolving ideas to help make Catholic education available, accessible and affordable for immigrant families. The conversation must include more Hispanics who are willing to help. I wish to form a strong group of school Madrinas (Spanish word for godmother) who serve as school ambassadors and welcome new and current families. Madrinas like Gelen Hernandez, Claudia Trani-Melgar and Jennifer Bello, who are already doing an excellent job helping our families find their way into our schools. Marianela Nuñez is Field Consultant for the Latino Enrollment Program in the Office of Catholic Schools.